Celebrating 15 years of Arbor Bay School. The evening will feature, a live and silent auction, super raffle, hors d'oeuvres, dinner, wine, music, and dancing. and social success for our children with mild to moderate learning difference. that helps us to make the ongoing school updates and improvements. We invite you to click the purchase ticket button (after you've registered and logged in), to buy event tickets, as well as sponsorships opportunities. 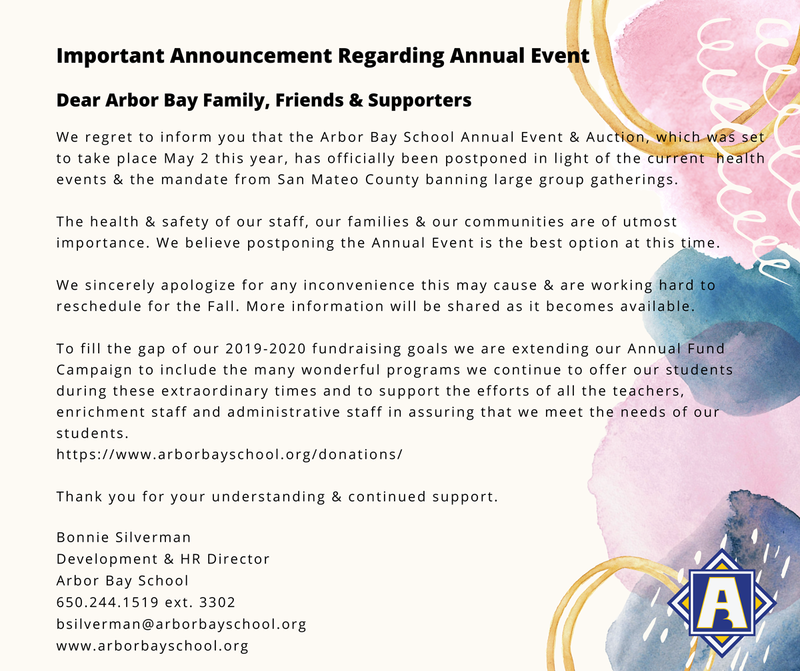 Thank you and we look forward to seeing you April 27, 2019, 6 PM to 10 PM, at Poplar Creek Golf Club, 1700 Coyote Point Dr. San Mateo.